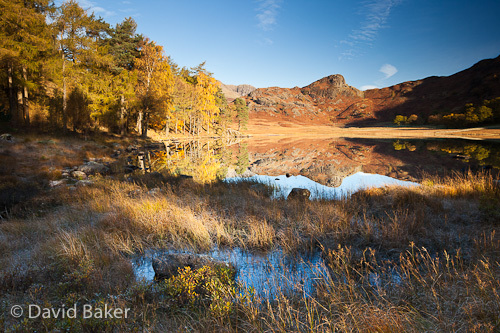 This was the first frost of the year from me and as I’m stood ankle deep in the boggy waters around Blea Tarn in the Lake District I wished I’d packed the thermals! The sun had been up for a while before it made its way round to the bank on the left side lighting the first signs of autumn colour. ~ by David Baker on 15 November, 2010.